As you know, this past weekend a lot of folks were hoping to get an iPad from Sears for $69. Sears pulled this little stunt once before! Oh yes! 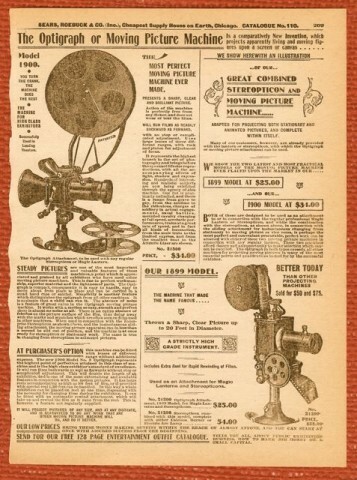 As you can well imagine, there was no way Sears was going to actually let the 1900 Optigraph go for that price. 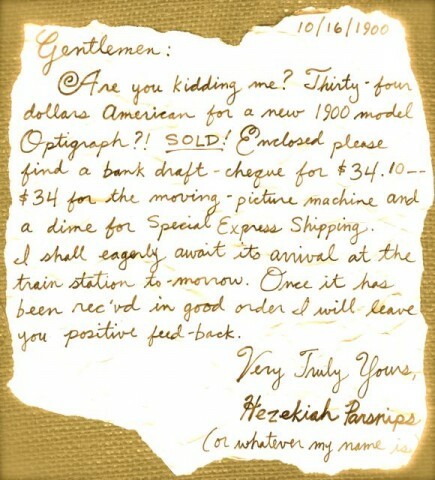 Turns out $34.00 was a so-called “typo.” The real price? A significantly steeper thirty-four and a quarter. Well, Uncle What’s-His-Name was pissed, especially since Sears refused to honor their advertised price. Instead they sent him a couple upright parlor grand pianos, a pump organ, a houseful of furniture, a four-seater enclosed surrey, six bushels of oysters and a credit for the balance, $18.35, which they put on his Discover Card. Just so you know, I spent a goddamn hour and a half in the garage looking for that stupid retro catalog. Posted by Ted on July 19, 2011, 9:00 AM.